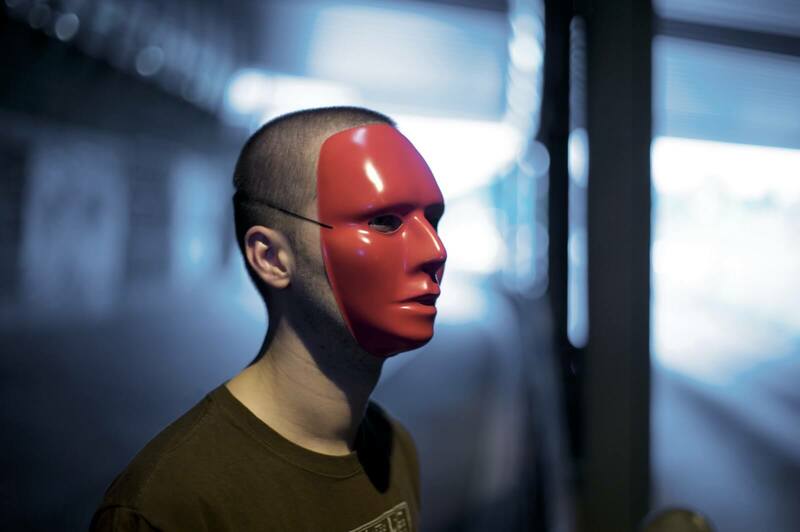 The face behind Redshape’s mask is that of Sebastian Kramer, an East Berlin-based DJ and producer. The artist started experimenting with music production in the mid ‘90s. Taking cues from early Detroit techno, he developed a sci-fi sound signature full of acid basslines, breakbeats and old school samples. Kramer typically plays his music live and records his performances for use in his releases. “I don’t prepare any details like breakdowns or mixes before I go on stage,” he claims. Instead, he crafts “organic, recordable jam sessions” that can easily be reimagined as more straightforward compositions. His work has evolved into a singular style recognized for its heavy mechanics, broken drum patterns and ravey rhythms that blur the line between house and techno. Kramer has released more than 30 singles and EPs on a roster of labels that include 3024, Bleep, Brainfeeder, Dekmantel, Nonplus Records and Styrax Leaves. He has also released two full-length albums, The Dance Paradox and Square, on Delsin and Running Back, respectively. The artist began his own label, Present, in 2006 as an outlet for his own music, of which he has self-released 10 EPs.